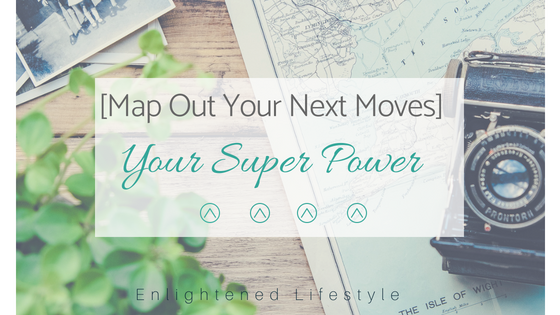 [Map Out Your Next Moves] Week 1 of 4- YOUR SUPER POWER! We all have special gifts that we often overlook. Especially if its things that we may have been passionate or great at our whole lives. We tend to forget how naturally good we are at some things. Or, it could very well be a new found passion or skill that you’ve recently discovered as well. Your super powers are an important gem that could take you from where you are to where you want to be, very quickly. It’s common for us to sometimes feel lost, lack of direction, we want something, we just can’t quite put our finger on it. We can feel like we are on the verge of grasping what that is, but sometimes we lack the clarity to really understand. With Steemit being an excellent platform to showcase our passions, skills, and add value, it doesn’t mean everyone has the clarity of what direction to take. We can spend significant time learning the ins and outs of the platform, we can spend time engaging with posts and communities, but at the end of the day, what about your blog, your message and the value you plan to bring? As I said, it’s important to learn everything we can, ,the more we know the better, but learning that stuff isn’t going to give us the answers to what the best blog ideas are for each individual. It’s the catch. We can see success happening before our eyes with many blogger/vloggers here, but an important aspect we can’t ignore. There’s a story attached that we don’t alway see, there is strategy, there is direction and clarity present with (most of) those that are doing well here. We don’t know how long it took them, we don’t know how many times they may have failed before the started to succeed and if you look closely, they have these fundamental things we will discuss throughout the 4 week plan. Word on the street, you can do what you love, what you’re great at and make a living dong it! It’s very prevalent that many people are using their skills and expertise to be big influencers and build business around their passion and purpose + being of service to others. It can be done, but it’s somewhat like a complicated puzzle that we need to fit the piece together. Even though it may seem a bit far fetched or too good to be true and maybe you have to start out as a side hustle at first, to find your place and make it work. Look at your past experiences and highlights in your life so far, what you’ve accomplished and what lights you up? Take time to write out some of the highlights from when you were a child, teenager and young adult. How did those things make you feel? Was there a common theme among them? You’re doing it because you want to, not because you have to. You can play music or meditation music during this, but it isn’t necessary. Whatever will relax you and helps avoid distraction. Visualize that you have everything you need. Life is good. You are financially free. But you still want to work, to be of service and provide value in the world. 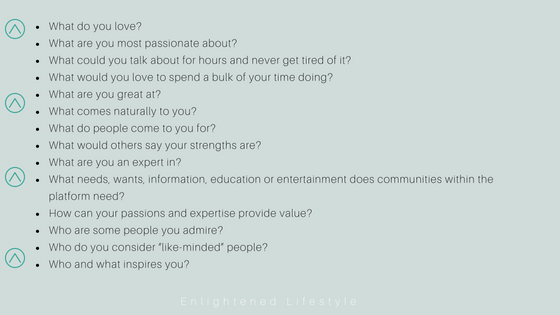 What would you spend your time doing and in what ways would you spend that time? You already have everything you need. Your intention is to show up in service and provide value. Visualize this until it brings you joy and pay attention to the details that come up in what kind of work you are doing and value you’re providing. What do you feel confident in? What is your message? How are you helping others? What is getting you out of bed in the morning? What are you excited to share? How do you feel? I would love to challenge everyone that takes part by after the 4 weeks, writing a post to share "Your Next Moves," what your intentions are moving forward and what everyone can expect to see. Hi there @tressareid, I have been gone for quite a bit, now that I am back, your page is one of the profile I checked out right away. This is awesome! This is really a great initiative for newbies and minnows like me. What would I still do when money is no longer a problem question just spark alot of idea on my head. You are a superstar now I can tell, Congratulation :) Keep it up, I am looking forward for the next one of this Map out your next move post. We definitely need clarity on our journey, your willingness to help out and also add value is just amazing. I enjoyed every bit of your post, looking forward to more from your #mynextmoves series. Self-exploration is something that often gets overlooked, but can help us with clarity and direction when we go there. Thanks for stopping by! that's a great idea. i am inspired. thanks for sheare this. I helped you with @resteemable.